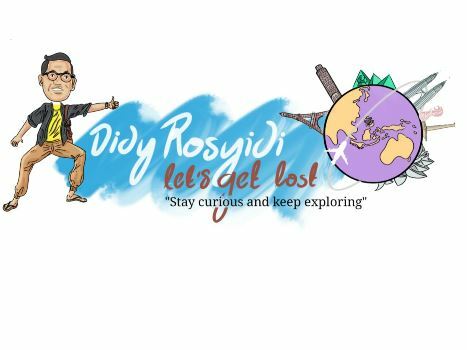 It's time to tell you guys about my experience of visiting Dieng Culture Festival 2018. 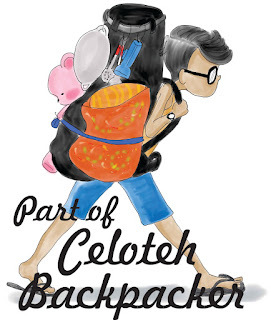 Well, actually I really want to tell you about this event soon after I came back from Dieng last week but because I'm too lazy to write the post, so I declined it hahhah (what a lazy blogger I'm wkwkwk). I spent 3 days and 2 nights in Dieng, Wonosobo, Central Java. It was not my first time visiting Dieng, I think I have visited 4 times hehehe, but Dieng still and will always be a special place in the deep of my heart, visiting Dieng for more than one day gave me a lot of experience to explore more any place in Dieng side by side. 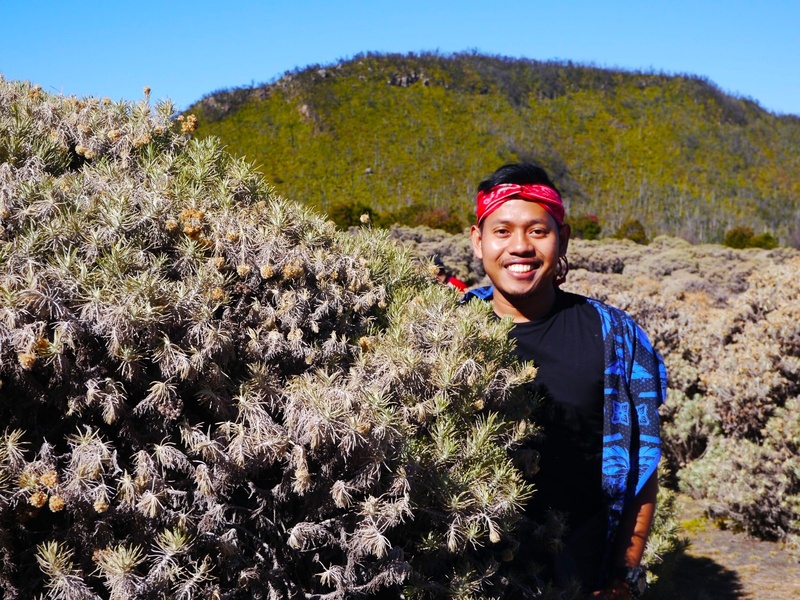 I've shared about 10 Reason Why You Should Visit Dieng Plateau. 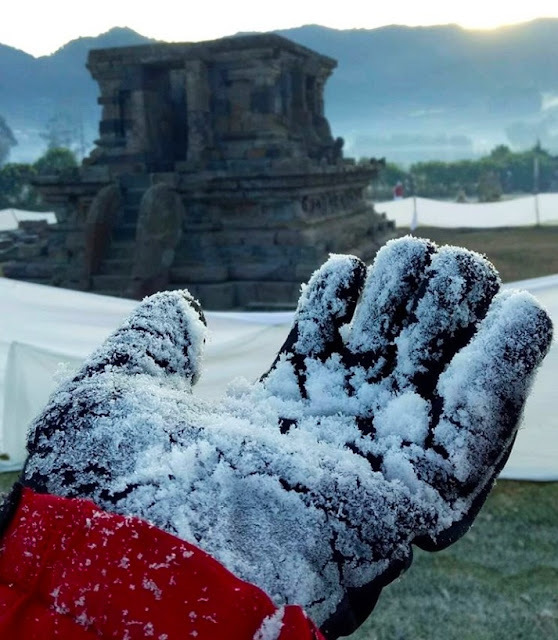 One thing that I don't like about Dieng is about the weather, because so freaking cold hahahah (made me skip to have shower in the morning hahaha). 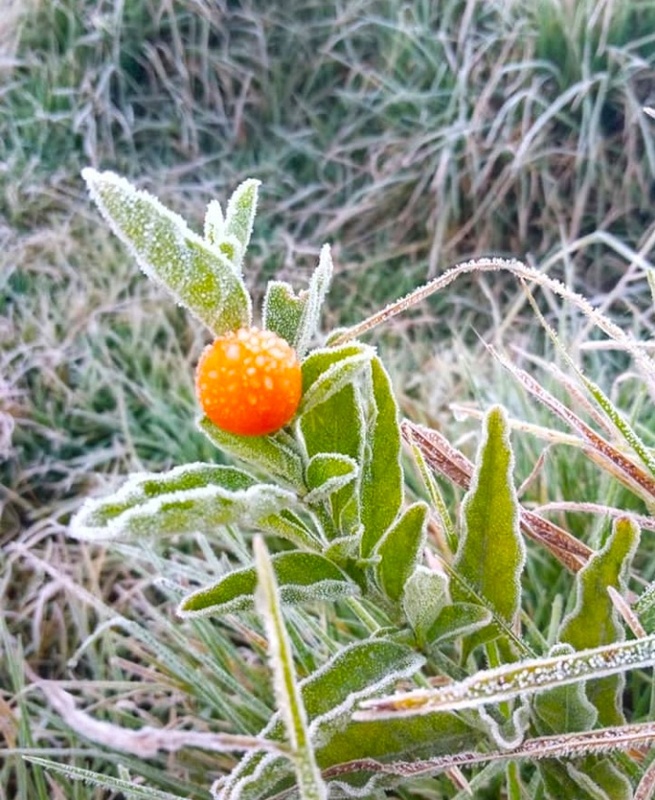 And just for your information that these months are the extremes temperature in Dieng, I got -2 Celsius degrees in the night and morning, you can imagine how cold it is hahhaha. But I have to say thanks to God because finally I can find snow flakes in Indonesia without have to hike Jaya Wijaya Mountain in Papua (there's immortal snow on the top of this mountain) . Thank God ! 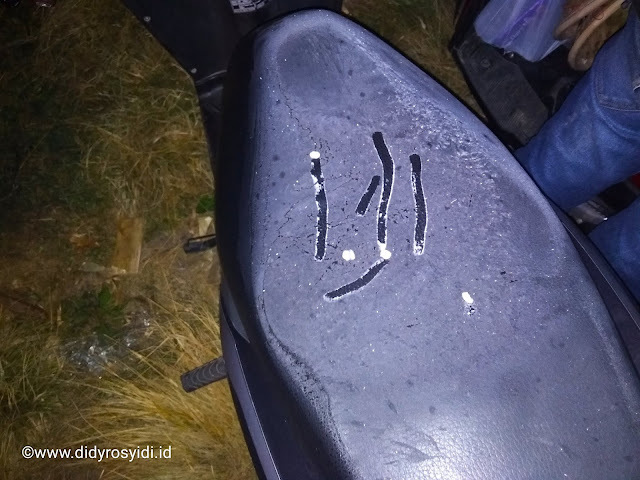 !, I remember that I almost got frozen there wkwkwk, I left my motorbike (not mine but I rent it) at the parking area and when I wanted to go back home and picked the motorbike from the parking area, the motorbike got frozen hahaha and there were lots of ice flower flakes on the motorbike. Anyway, I think, I should start to tell you about the journey. But, wait, I need to say thanks to my friend who has gave me his room to me so I can sleep over there, thanks anyway hahaha. Maybe some of you have known this annual event already. Dieng Culture Festival is kind of Cultural event in Dieng, Central Java. The festival again presented a range of art and cultural performances, an exhibition of Dieng's fines product and as pinnacle this event: the ritual of shaving off dreadlocks of kids born with this unique hair. The ceremony well known as Ruwatan Anak Gembel/Gimbal. I feel strangely enough that Dieng is a place where many kids are born with dreadlocks hair. 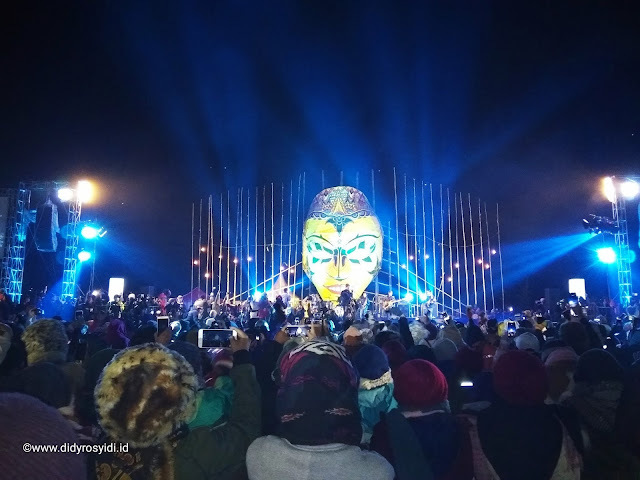 At Dieng Culture Festival 2018 took The Magical Beuaty of The mist-shrouded Highlands of Dieng Plateau as the theme. This event was held on 3rd to 5th August 2018 last week, This centered in Dieng Kulon, Batur Sub-District, Banjarnegara Regency. Ok, I'm going to mention some exciting sub events that amazed me a lot !!. 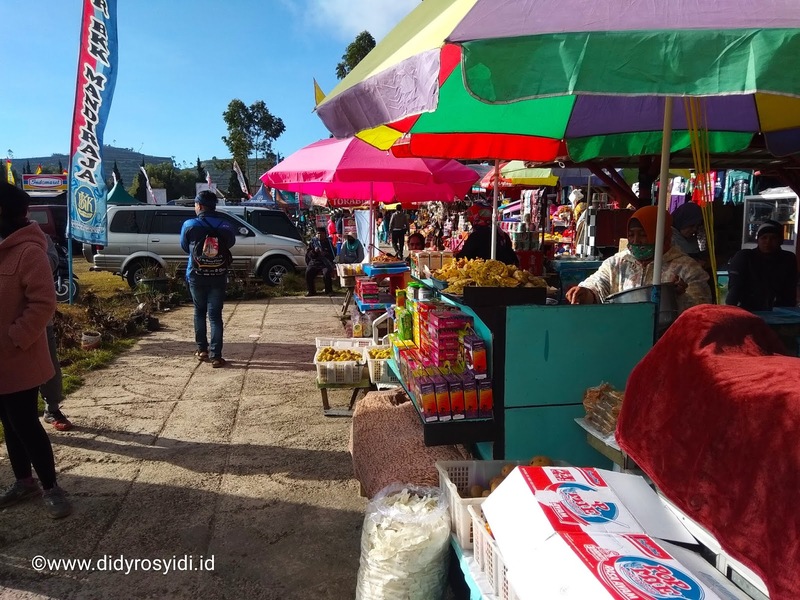 In the 9th Dieng Culture Festival 2018 (DCF-9) there were sub events featured such as Flower and 'Caping' traditional matted headgear festival, The Tumpeng Festival, a Fireworks Fiesta, a Cultural Parade, Culinary Bazar, Traditional art performances, a Lantern Festival, and a whole lot more (I will tell you more detail, keep reading !!). Wait, I forget one thing, There were sparkling performance here, yaaap as usual special jazz performance entitled Jazz above the clouds, Indeed since Dieng stands above the clouds (2000 meters above sea level). I went to Dieng by train from Pasar Senen Train Station, Jakarta. Unfortunately, there is no train station in Wonosobo, so I should take a train to Purwokerto first then took a bus to Wonosobo then took another bus to Dieng Plateau, hufts, yes quite overwhelming hehehe. But for Dieng Culture Festival, I'm okay to do that. I only paid 140,000 Rupiahs for the return ticket Jakarta-Purwokerto, it is so cheap hehehe though I got missing the train to Jakarta (How stupid I'm). After I arrived to Dieng Plateau, I just took a rest for a minute and put my stuff in the room, then I headed to the venue to take the ticket, for your information guys, I paid 350,000 Rupiahs for whole package ticket. I got a goody bag that there were a lot of stuff inside. Including; T-shirt, Caping, a lantern, batik, shawl, the necklace as an ID, the ticket and I forget another hahhaha, I think it was worth it. 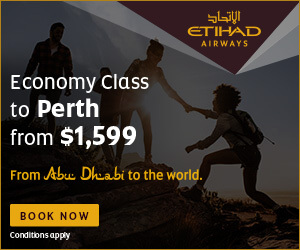 Actually, there were lots of tour package that provided one package including the hotel but the price, surprisingly expensive around 1,7 million per person hahha (better no). This is one of my favourite side of this event, because I can satisfy my tongue to give a try a lot of local culinary. OMG, I think, I got my body fatter than before hahah. There were a lot of stands that sold various of culinary, so, I should prepare enough space in my tummy. And you know what, here I got a cheaper price of them than in Jakarta or Serang, I can get full only prepared 15,000 rupiahs per once eat. There were also local product exhibition such as local batik, souvenirs, outdoor gears (this one is my favourite), and many more. I should avoid this side actually, because I would shop a lot and of course be a wasteful hihi. In this sub-event your eyes will be amazed by a lot of beautiful flower where you can see any kind of flower, I think if you're flower addict, you must be like with the flower festival. Finish with the flower you can see a thousands goat join this exhibition hehehe, they were so cute, suddenly just remember sound the sheep hahaha. Next, you can see The Tumpeng Festival, where Tumpeng is kind of a masterpiece of food art presentation. Rice will be shaped like a cone with side dishes of vegetables and meat. Traditionally featured in the slamatan ceremony, the rice is made by using a cone -shaped woven bamboo container. The rice itself maybe plain steamed rice, uduk rice (cooked with coconut milk) or yellow rice (uduk rice colored with kunyit/tumeric). Because I like the culture, I feel like this sub-event is a heaven heheheh, here I can find a lot of traditional art performances such as pencak silat, tarditional dance, traditional costume parade and many more. Up to 1000 people flocked to the parade by using colourful traditional costume and bring agricultural products such as vegetables, paddy, and fruits. I'm pretty sure that you will amaze with this magical parade. This Festival is placed on the top night Dieng Culture Festival before boom agenda shaving off deadblocks hair in the morning. Well, if you're still single (like me hahaha) it would be better if you bring a lot of tissuee to wipe your tears because of envying to another couple wkwkwk. Oh sorry, you won't 😉, I know you're strong ! !, So it's okay just enjoy the romantic night lantern and fireworks. You can see how gorgeous Dieng's sky with that light. Actually this festival started quite late about 12 AM after Jazz above the clouds, but you will not regret waiting for this sub-event, I suggest you to come to next DCF and don't forget to join romantic lantern festival though I feel really cold there hahah. But luckily there are a lot of tourists here, it decrease the cold hahha. 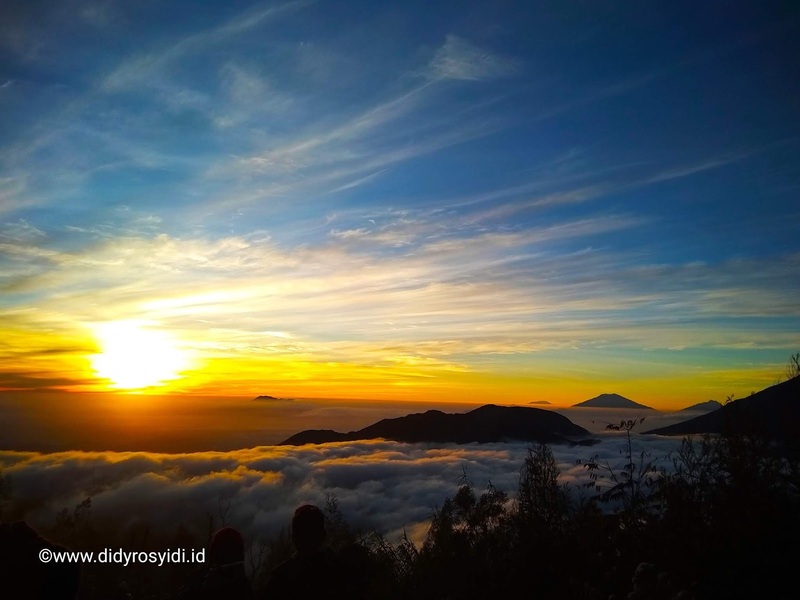 Since We know that Dieng is absolutely located stands above the clouds (2000 meters above sea level) so the Jazz also named by Jazz above The Clouds as well. I think this sub-event is one of the most attractive point from Dieng Culture Festival beside Shaving of the dreadlocks kids hair. There were a lot of Jazz musicians that I loved much whether local and international. Actually I'm not a big fans of Jazz but I felt really enjoying that music. One thing that I like from jazz above the clouds is there was Letto Performance (famous band since I was elemantary school) and Hiroaki Kato from Japan. I flew with the music, so romantic even I didn't come with my GF wkwkwk. I forget to describe that Ruwatan Anak Gimbal took place in Complex of Candi Arjuna. Dieng Culture Festival also took the audience to explore the spellbinding beauty of Dieng panorama. Tourists will witness the spectacular sunrise overlooking the highlands, the mist surrounding the ancient temple complex, the breathtaking views of Talaga Warna Lake and Sikidang Crater and a whole lot more. Being the main featured of this festival, ritual ruwatan of trimming off of dreadlocks kids is truly exceptional. While globally dreadlocks hair is commonly known as Rastafarian style from Jamaica. But here, in the highlands of Dieng Plateau, dreadlocks or matted hair is not chosen style but it rather a mystifying feature that only occurs to the children in Dieng Plateau. As I know from the local that Dieng's dreadlocks children are born with normal hair, but at a certain moment in their young life, their hair amazingly turns into dreadlocks all by itself. Amazing !!. Various studies to scientifically investigate the cause have not resulted in any logical explanation. According to local belief, however these, kids are somehow chosen by the ancestors to accept this gifts. The dreadlocks may not be trimmed unless the children themselves ask for it and ask for the gifts such as bike, school bag, and many more as their wish, or such hair will continue to grow back. The precious moment when the dreadlocks kids's hair is shaven off is celebrated in a series of rituals known as Ruwatan Anak Gimbal. This ruwatan actually took quite a long time untill the dreadlocks is floated into Talaga Warna and will be finished by Aksi Dieng Bersih to keep the location clean after whole festival. I feel more educated after attended this event especially about ruwatan anak gimbal, this ritual is really mind blowing me. Well, after I tell a whole ceremony, now I have to conclude this post. My conclusion is you I will be more educated about how rich Indonesian culture that we need to keep hold tight and must be proud of them so the tradition will be long last, of course I get it while I'm travelling, So let's be more educated with travelling !!. Yeah, this is my gorgeous experience attending Dieng Culture Festival 2018. 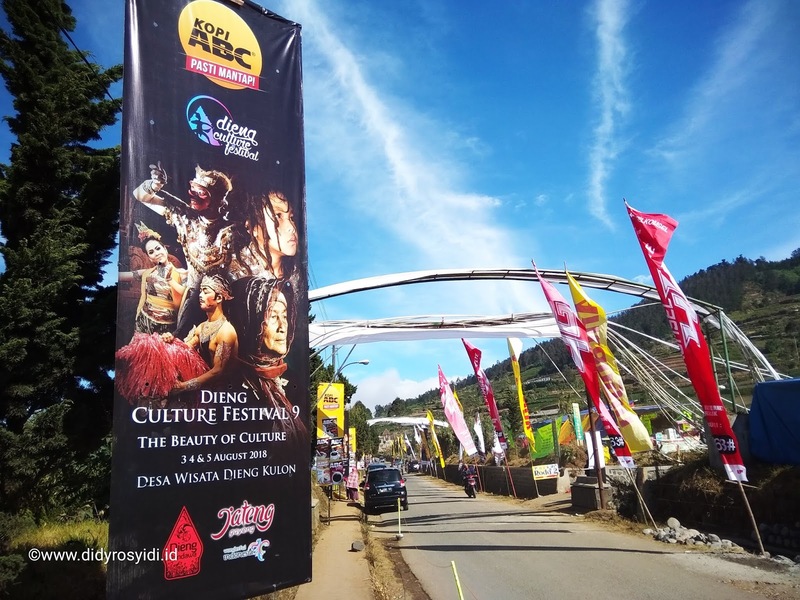 How about you ?, Have you ever been to Dieng Culture Festival ?. Share your experiences on the comment below. Can't wait to The Next Dieng Culture Festival !! Sayangnya aku belum berkesempatan nonton secara live. Acaranya meriah dan greget banget loh Mas heheh. Sayang sekali Gak bisa nonton live ya heheh. Apalagi Jazz di atas awannya suka banget :). Iya Saya udah 4x sih tapi ke Dieng ya aja. DCF nya mah baru 2 Kali hhehehe. Tapi tahun penontonnya sih Gak trlalte banyak ke 2017 jadi lebih bisa menikmati banget ☺️. Mungkin karena pengaruh temperatur udara yang sangat dingin ya mas penontonnya ngga serame tahun 2017. 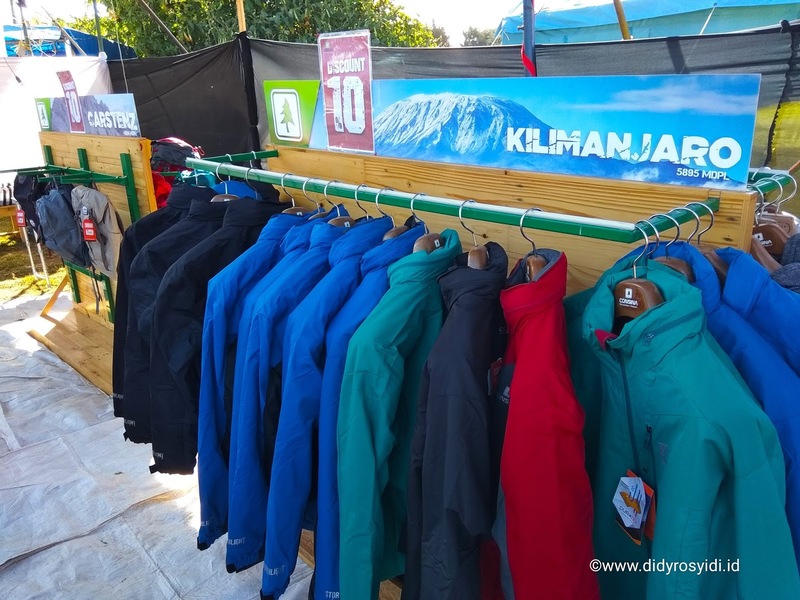 Dikotaku (sekitar 3 jam lebih saja dari Dieng) kerasa dingin banget, siang hari saja pada menggigil. Iya enak2 lagu2 nostalgia hehehe. Es nya keren tapi kasian para petaninya, tanaman Mereka pada gagal panen. Nganu mas, actually i'm so curious with the Dieng Culture Festival. But i'm feel so sad, can't go there because of so much pagawean in the office. Hahhahahahha Mas Fajar Sa Ae. Your English gorgeous sangat lah !! seru banget DCF 2018 mas! mantaaaap, moga tahun depan bisa ikutan DCF lagi, amin. Iya seru banget !!. Dingin2 bikin baper hahahha. Iya sampe Ada saljunya Keren cuman ya kasian juga para petaninya disana banyak yg gagal panen 😰. Aamiin, taun depan wajib agendakan Mbak !! :). SEMANGAAAT ! !